Boston’s B461-610 6T four post lift with its 6.1m lift platform has been an exceptional success and has shown there is market demand for even longer platforms. In response, we have now added a full 7m platform length model to our range - the B461-700. 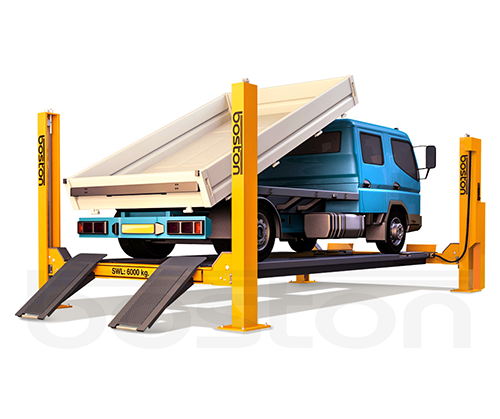 Offering the longest MOT ATL platform available, it comfortably handles drop sides, long sprinters, tippers, Lutons and many other long wheel-base vehicles. For more details, including technical specifications, visit our product page.